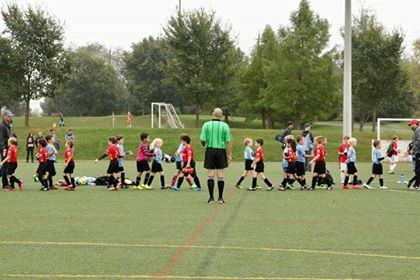 At SAM Soccer we believe that no child should be left out of experiencing the Beautiful Game. SAM Soccer provides need-based financial aid to families who cannot afford a SAM program. SAM will subsidize up to 3 programs per child in a given year. If applying for financial aid for SAM Rec or SAM SELECT please note that each team is only allowed THREE FULL (100%) grants per team per season. After three grants has been awarded per team they will be reviewed on a case by case basis. All grants received will be reviewed and households will be contacted within 48 business hours to know if they have qualified for a 100%, 50% or no grant at all. There is a $155 max cap on 100% grant approvals. If a program is more than the $155 cap the household is responsible for paying the difference. A player is not considered registered until the FULL balance has been paid. For 50% grants the household has one week to pay the outstanding balance. After this point the grant will be revoked and the family would have to reapply for approval. THE DEADLINE TO REQUEST A GRANT IS MARCH 15 IN THE SPRING AND AUGUST 15 IN THE FALL. The Current Year Federal Tax Form for the parent(s) that are applying for the aid, the child (children) MUST be listed on the taxes. Call 301-528-1480 for SAM Soccer sponsorship opportunities.